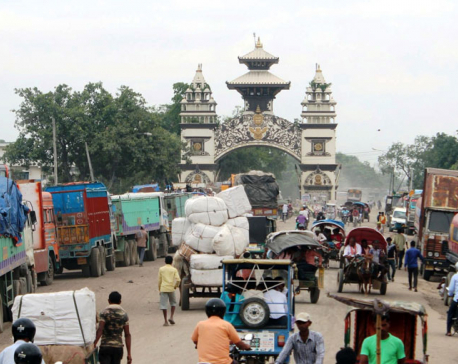 BIRGUNJ, July 22: Trade through Integrated Check Post (ICP) of Birgunj is gradually gaining momentum. Around 300 truck-loads of goods enter Nepal via the new customs infrastructure inaugurated jointly by Prime Ministers of Nepal and India on April 7, 2018. Santosh Yadav, spokesperson for the ICP Custom Office, said that goods carrier vehicles, containers coming from third countries, and LP gas and other petroleum products are entering Nepal via ICP. In the initial days of operation, the customs office was handling only around 10 percent of total trade via Birgunj Customs Office -- the largest customs office of the country. 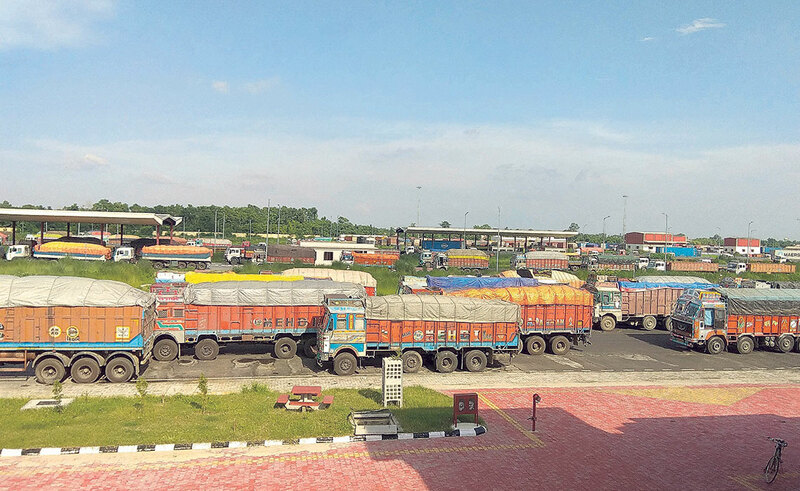 A total of 29,636 cargo vehicles have entered Nepal via ICP over the first 99 days of the ICP's operation, according to data compiled by the Birgunj-based office of Nepal Intermodal Transportation Development Board. The board has earned Rs 23 million by operating ICP so far. It also paid Rs 3 million in different taxes to the country. The ICP, which has similar facilities on both sides of border, is expected ease Nepal's trade with India as well as third countries via India. ICP so far has offices of customs, bank, food quarantine, vegetable quarantine, livestock quarantine, and a unit of Armed Police Force (APF). The ICP, however, does not allow movement of visitors between the two countries due to lack of immigration office. Although infrastructure of ICP was built eight years ago, it came into operation from April only. As trade activities are gradually gaining momentum at the ICP, preparations are underway to expand the ICP by adding new infrastructures. Talking to Republica, Hemendra Mohan Shahi, chief of the board's office based in ICP, said that board has already started preparation for expanding infrastructures in ICP. Among others, the board plans to build a go-down having capacity to store 200 tons of goods. The existing go-down in ICP has the capacity to store 30 truck-loads of goods at a time. According to Shahi, they have already published bid notice to build the new go-down with an investment of Rs 50 million. Similarly, it also plans to build a shed where drivers and staff of cargo vehicles can take rest and prepare their meal. "Likewise, we are yet to arrange sufficient space for quarantine offices and manage drinking water facility," he added. Realizing that the 610-meter road section of Hulaki Rajmarga which lies on the access road to the ICP was a bit narrow for cargo vehicles, the board has already awarded a contract for expanding the road section. However, road expansion work is yet to begin due to disputes with locals regarding compensation for land plots to be acquired for the purpose. District Administration Office (DAO) is the designated body to distribute compensation to land owners. However, dispute between land owners and the DAO has delayed compensation distribution process. Meanwhile, importers have said that trade trough the ICP is slow yet expensive. Though the ICP was expected to ease things for traders, Om Prakash Sharma, president of Birgunj Chamber of Commerce and Industry (BCCI), said Indian Customs Office, Seema Suraksha Bal of India and Bihar Police were making things difficult for traders and importers. Importers also say that the ICP was levying unnecessary charges on them. "Further, they have introduced new provisions that require more paper works. It is delaying import/export process," said Sharma. According to Dhurba Shah, a Nepali importer, lack of equipment like printer and computers, and adequate human resources at the Indian customs office was creating unnecessary delays.